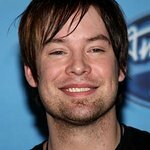 American Idol winner and platinum selling recording artist, David Cook, will perform a charity concert at Jammin Java in Vienna, Virginia on December 2, 2014 (#Giving Tuesday) to benefit Accelerate Brain Cancer Cure (ABC2), a venture philanthropy organization. #GivingTuesday is a global day of giving, held the day after Cyber Monday. Since 2009, Cook and his fans have raised $930,000 for brain cancer research through the Race for Hope DC and various fundraisers. This month, Cook’s Crowdrise campaign aims to raise $70,000 to reach the $1 million mark. The performance at Jammin Java will celebrate this milestone. Cook has been a champion for brain cancer research since losing his beloved brother Adam to the disease. Cook is putting the finishing touches on a new album and the first single, “Wait for Me,” will be available at iTunes and other digital retailers on November 17th. He will perform this single at the Jammin Java benefit show. To contribute to Cook’s Crowdrise campaign, click HERE. To purchase tickets to Cook’s charity concert, click HERE.